UPDATED: Thu., May 31, 2018, 9:13 p.m.
PULLMAN – Sixty-five days elapsed between the time Robert Franks put his name in the NBA Draft and ultimately decided to pull it back out. The Washington State forward needed every one of them – quite literally – to determine whether it was in his best interest to skip forward to the next chapter of his career, or return to school for a final round with the Cougars. Franks decided his defense still needed some more work – his rebounding, too – and the opportunity to move from a fringe second-round pick to a bona fide first-rounder was one he felt was too good to pass up. Rest assured, the skilled big man from Vancouver, Washington, didn’t get that clarity until late in the process. Even as he wrestled with the decision, Franks found it advantageous to cycle through the pre-draft process and collect feedback from NBA teams. The Brooklyn Nets, Oklahoma City Thunder and Detroit Pistons all hosted him for private workouts, and Franks was scheduled to work out in front of “eight to 10 more teams” but opted to pass with the deadline approaching. They told the Pac-12’s reigning Most Improved Player how he can get better. Franks saw a significant spike in his scoring average last season, pouring in 17.4 points per game, and he pulled down more than six rebounds per game. He also worked to become one of the most consistent 3-pointer shooters in the Pac-12, making 40.5 percent of his long-range attempts as a junior. But those numbers didn’t yield an invite to the NBA Combine, which brought 69 players – and nine of Franks’ counterparts from the Pac-12 – to Chicago for five days of evaluation in front of professional scouts. Nonetheless, Franks said the pre-draft process gave him a taste of what NBA life might be like – he’ll go through this same routine next spring – and introduced him to the work ethic and day-in, day-out commitment necessary to survive as a pro. While back home in Vancouver, he trained with a couple of NBA hopefuls, including Detroit Mercy’s Kameron Chatman and Central Arkansas’ Jordan Howard. Franks said he acquired “some great knowledge” from current pros such as Kay Felder of the Detroit Pistons and Quincy Acie of the Brooklyn Nets. The WSU roster has undergone significant shakeup since Franks decided in March to test the NBA waters. Malachi Flynn, the Cougars’ starting point guard and Franks’ closest confidant, transferred to San Diego State, leaving Franks as the only returning double-digit scorer on Ernie Kent’s roster. Kent went shopping to replace Flynn and landed a pair of junior college point guards, Ahmed Ali and Jervae Robinson, who respectively scored 17.9 and 12.5 ppg last season. 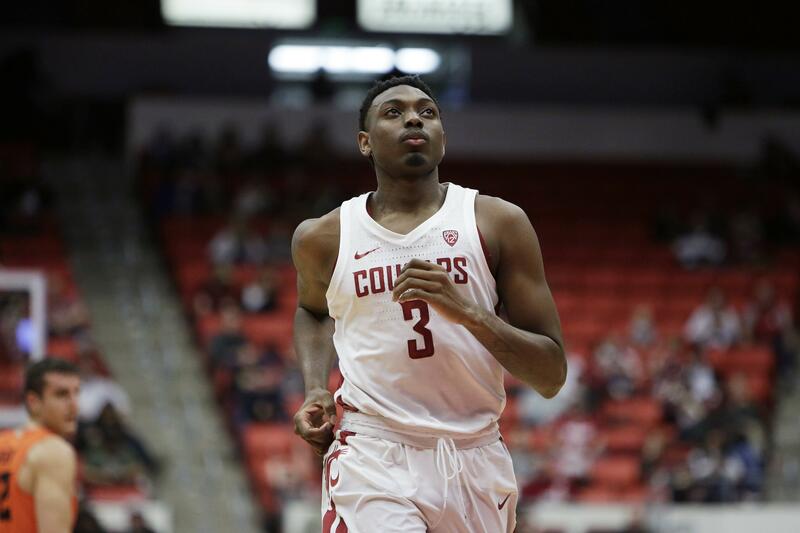 In addition to Franks, WSU also returns 31-game starter Viont’e Daniels (9 ppg, 71 3-pointers) and 11-game starter Carter Skaggs (8.2 ppg, 69 3s). Published: May 31, 2018, 7:53 p.m. Updated: May 31, 2018, 9:13 p.m.